The Wall Street Journal has reported that, in an effort to reduce supply chain costs and shorten delivery time, Amazon has partnered up with some of its large suppliers in a somewhat unique way: using suppliers’ warehouses to package and ship goods. According to the article, Amazon has a portion of space allocated in select Proctor and Gamble warehouses where Amazon employees package and ship Proctor and Gamble products. Products are brought in bulk to Amazon’s section of the warehouse where employees break down, package, and ship the products to Amazon’s customers. This is a part of Amazon’s “Vendor Flex” program that allows them to use portions of their supplier’s distribution networks. The manufacturers benefits from this arrangement are increased sales as a result from the lower pricing and faster shipping times provided by Amazon. This is similar to drop shipping, but utilizes Amazon employees to ship direct from the manufacturer instead of the manufacturer managing the packaging and shipment to the end user. In this process Amazon has more control over the shipping process but still benefits from cutting out shipping and storage of bulk goods in their own warehouses. 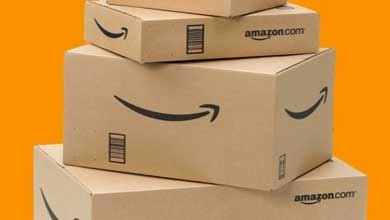 In addition to reduced costs, this also reduces shipping time to the end user and can allow Amazon to offer competitive pricing in categories they previously have not been able to compete. In the Proctor and Gamble case, Amazon is looking to enter the toiletries market. This is market is worth $16 billion, but only 2% of toiletry purchases are currently done online. If Amazon can offer pricing that is lower than brick and mortar stores they may be able to convince consumers to move their spending for this category online.